Yes, reposting a scam, inappropriate words, links, etc. will also get you into trouble. Please either edit your post to remove these things or simply respond without quoting the player. We know it stinks, but if we delete that person's post we then have to delete the posts of everyone who quoted them, and so on. We're sure you can see the issue here. You are responsible for your own posts, so please keep that in mind. 1.) Don't worry, we used the word "randomly" very loosely this time. Basically we just randomly went into shops and looked at the items that we clogging up the shop and put them out of their misery. 2.) Only if people are directly conspiring to purposely inflate an item are they crossing the line into scamming. The Stone Paint Brush colour is retired. This is not to be confused with the Stone Paint Brush item, although that is also retired. This means that the colour was completely discontinued and made into another colour, much like we did with the ancient unicorn colour. These colours no longer exist, which is the reason why they do not show up at the Rainbow Pool. We haven't retired a paint brush colour since the early days of Neopia, though, so don't expect it to happen again anytime soon. Please note that retiring a colour is different from retiring a paint brush. For example, Faerie Paint Brushes are retired, but the colour is still available. Just a useless relic from Neopia's past. Unless there is a glitch, we're going to assume you've been seeing the Icy Blue Eyes from the NC Mall and other similar items. We're very sorry that we apparently traumatised you guys, considering there were about four pages of panicked comments to the Editorial about this. 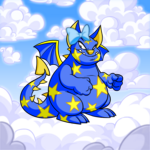 x_X; We'd like to assure everyone that the account being frozen in no way impacts that account's capacity for releasing Neopets back into The Pound. The script that runs it will still function exactly the same. According to the programmer, it was simply frozen to keep players from visiting the User Lookup. o_O It seems you're quite correct. We're gonna go with A.) Meepits biting through the wires. Hopefully the programmers (or an electrician) can get the Neopian Lottery up and running again. Sorry about that! We'd be happy to tell you why, but we've actually forgotten the reason since then. Sometimes, the things that you believe do not belong are the things that make something truly special and whole.